The iPhone X brought the new design language to the smartphone industry. We are yet to see what this year’s big iPhone release has in store for us. According to a new report, the 2018 iPhone will roughly be the same size as the current iPhone 8 Plus. Apart from the general size comparison, there is also information about iOS 12 adding support for horizontal Face ID. So let’s dive in to see some more details on the matter. 2018 iPhone Model To Feature The Same Size As The iPhone X? 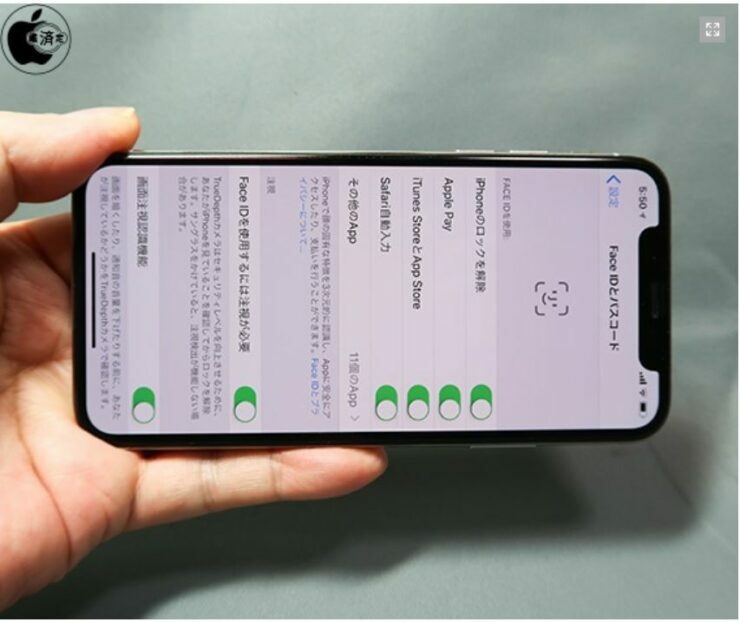 The news comes from Macotakara and cites a “reliable supplier information source” claiming that the highly anticipated 6.5-inch iPhone with OLED display will be roughly the same size as that of the iPhone 8 Plus. The iPhone 8 Plus features a 5.5-inch display but with a gigantic head and chin and in comparison, it absolutely makes sense. The smartphone due to arrive later this year. Apart from the general size similarities of the 2018 iPhone X model, there is also information that the device will be 0.2mm thicker all thanks to the vertical dual rear camera system “mounting form of the rear camera.” Altogether, the total thickness would jump up to 7.7mm in thickness. Check out the picture above for more details. The edge to edge glass panel at the front makes up for quite a space on the device as we have witnessed it on the iPhone X. The drastically smaller bezels on the device compliments the increased screen estate. Apart from this, the report also mentions that the 2018 iPhone with 6.1-inch display will feature an LCD display and will also feature support for Face ID. The refresh of the current iPhone X model will bring a larger camera sensor. However, there is no word as to what the quality difference will be like. Lastly, the report by Macotakara also states the iOS 12 this year will add support for horizontal Face ID unlock. As of now, Face ID on the iPhone X only works in the portrait orientation. Henceforth, horizontal Face ID makes sense and will provide the users with the ability unlock the smartphone in all orientations. While there is no official word from the company’s end, it all depends on time what we can expect from the 2018 iPhone models. There will be more to the story, so be sure to stay tuned in for more details. This is all for now, folks. What are your thoughts on the 2018 iPhone to be the size of the iPhone X? Moreover, how well do you seem the implementation of horizontal Face ID in iOS 12? Share your views with us in the comments.